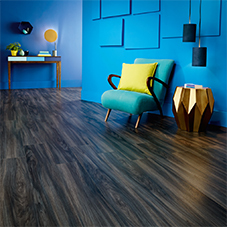 This blog written by Amtico explores how you can incorporate colour into commercial spaces. 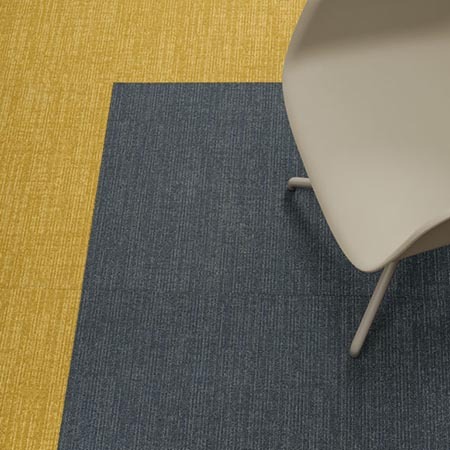 Colour isn't always obvious in commercial spaces like offices or even hotel rooms - beige and grey are often ubiquitous. 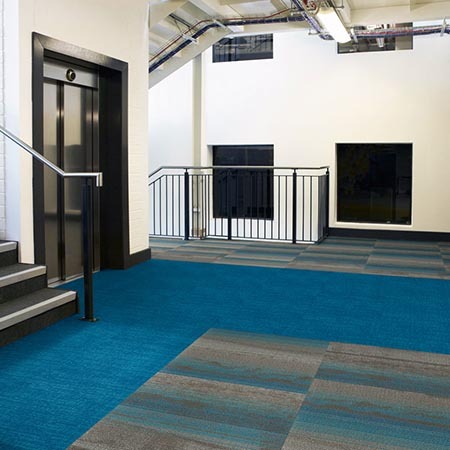 We think this is where a carpet tile like Colour Anchor can come in - a floor needs to be very robust to cope with high traffic, but it doesn't have to be solidly grey. 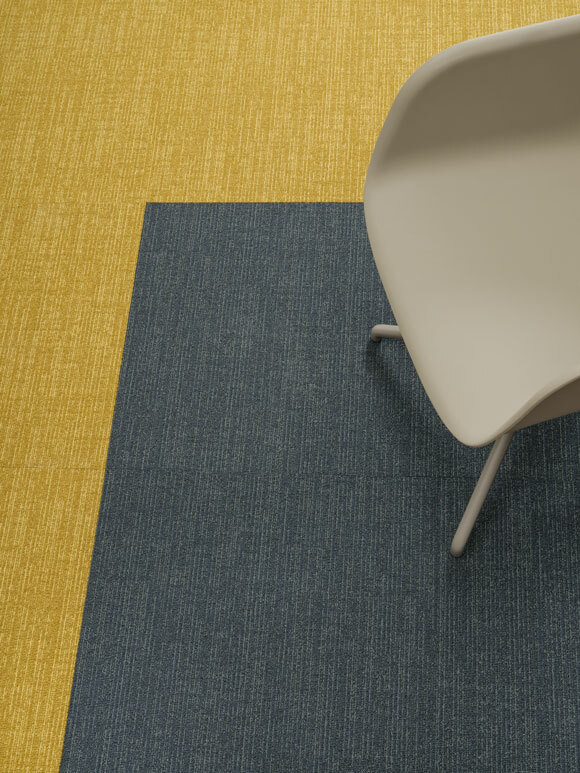 There's often a concern that solid colour will show up this daily wear and tear - spills will be really obvious on a light yellow floor for instance. 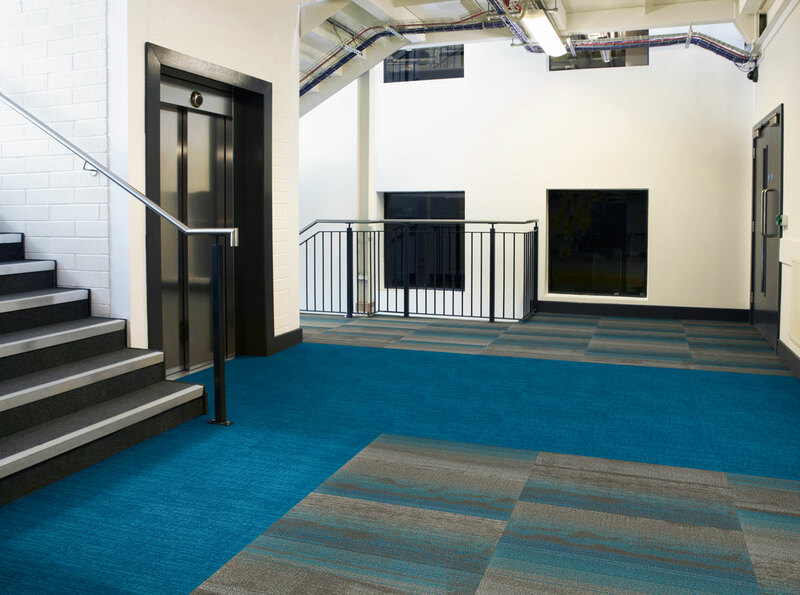 Look closely and you'll see the texture and yarn mix is varied - 'Squawk' isn't pure blue, it’s a blend of different tones of blue from royal to turquoise, tufted in linear mixed level loops making it's performance as strong as any grey alternative. 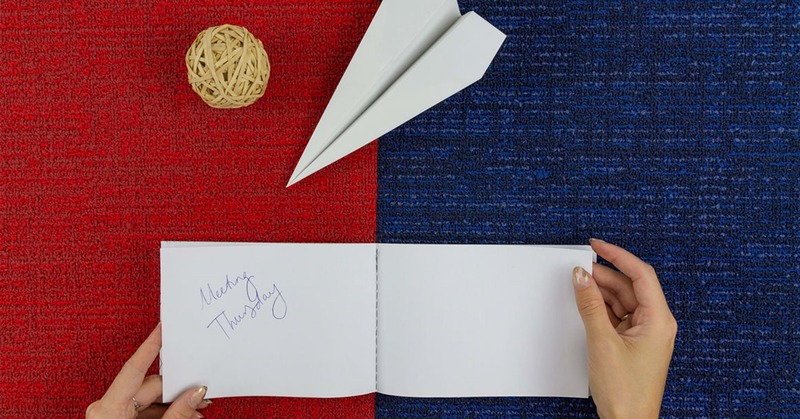 Extra security comes from the nylon yarn construction, inherently resistant to staining with added protection of two technologically-advanced treatments to protect against fading from liquid and even bleach spillages. We consider this collection a companion to other Amtico Carpets. 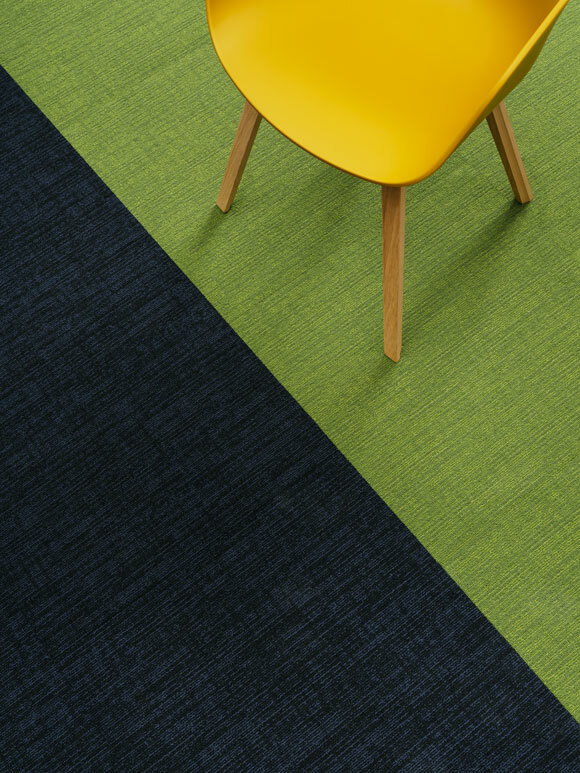 Its soft linear texture adds bright to neutral tones to complement or contrast other carpets or LVT floor patterns. 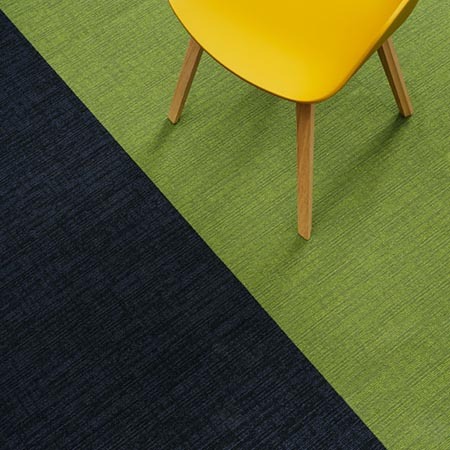 It's quiet enough to be used as accents without being solidly coloured - the small-scale pattern makes it active for large areas. 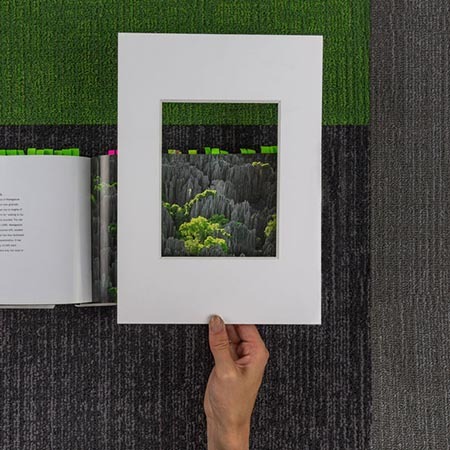 Full size samples are available from your Amtico representative, ask about how we've designed colours to coordinate with our existing Amtico Carpet collections. 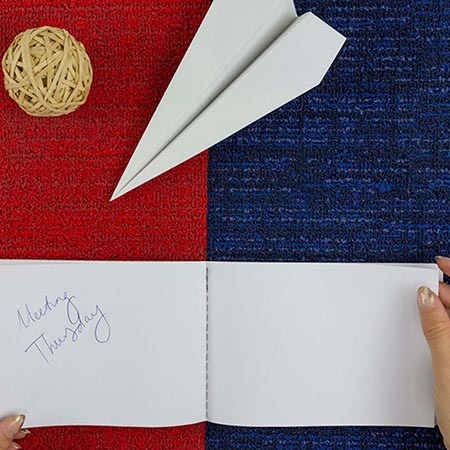 Colour Anchor is available in 24x24" tiles, made with PVC backing and tufted from solution dyed 6,6 nylon for tough resilient performance over its lifetime.